I am the child and grandchild of Holocaust and what I call Diaspora survivors. Their experiences during these traumatic events and how these have affected my life is becoming more and more apparent as I get older. So much so that it became clear to me that I would have to express these life-long feelings in a book that traces the origins from the time of my parent's childhood until now. The impetus for this book began as an answer or explanation as to why I almost never say'I love you' to my children or anyone else for that matter. I now have begun to understand that in the generation of my grandparents the concept of love and affection for a child was so destroyed as to eliminate the possibility of doing it again in the future. To become so attached to someone, even your own child or grandchild, just became almost impossible. It was as if the expressing words of love after the horror they had been through would somehow reduce or demean the enormity of their tragedy. If you could love again, then how bad could it have really been? The ability to love became detached because who would be willing to chance fate again and love someone who might be taken away from you? Obviously these feelings were carried over even when my grandparents came to live in post-war freedom in the United States. Once the trust was gone however, there was no bringing it back. Just as perhaps they had once said they had loved their parents and siblings; this love could not be replaced even by a child or grandchild of their own. 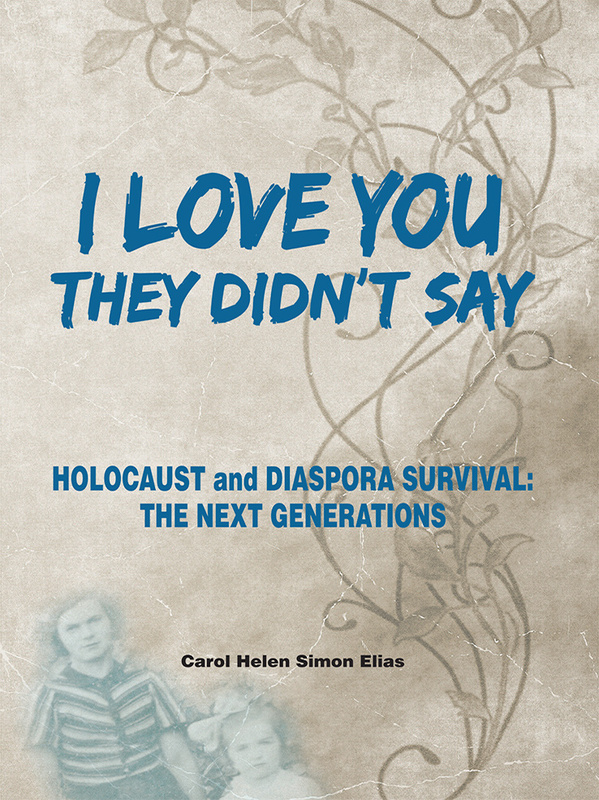 There have been many books written and continue to be written even at this late date on incredible stories of Holocaust survival by the original survivors themselves. However, as the generation of original Holocaust survivors is gradually passing away into history, it becomes all the more important for their children, or second generation to gather as much of the factual information as possible before it is too late. What began on my part as an attempt to assemble all of the facts of my mother and grandparent's survival of the Holocaust in Romania, has developed into much, much more. I began to realize that not only had my mother's family survived the Holocaust; but that my father's side had also gone through a type of 'survival" in Poland after World War I. First, living through pogroms and anti-Semitism, then emigrating to Palestine where they suffered greatly as well, then to the United States, only to arrive in 1929 the year of the Great Depression. All of this war-caused relocation; forced abandonment of the known to enter the unknown; changes in homeland due to traumatic, historical, wartime events that were not in their control; changing of names from one language to another, had to have its effects on my parents and grandparents, and ultimately on the generations that followed. It is my purpose to discuss the effects that these events had on the 'next' generations, using myself and my family as an example. When there are no Holocaust survivors to speak for themselves, the children and grandchildren will be required to come to terms with the issues that have been relegated to them and deal with them as best as they can. It is my fervent hope to begin this process as a type of unified, generational healing process. Many of us who are alive today have been affected by the Holocaust, Jewish or not, and we still discuss the Holocaust as if it had begun only recently. Yet, almost unbelievably, we are a mere seventeen years from the centennial anniversary of the Nazi's initial rise to political power in 1932. It is my belief that any attempt to break the pervasive silence that was the norm in post-World War II America, Europe and maybe the world, may have positive consequences in helping to unify the global village of today.